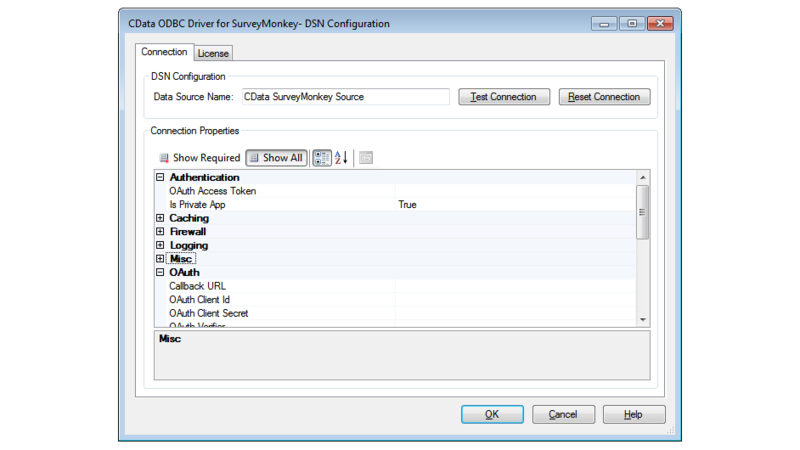 3 ODBC Driver - Connect to SurveyMonkey data from popular BI, reporting, and ETL tools: Tableau, PowerBI, QlikView, and many more! 3 JDBC Driver - Build SQL queries in Java code to work with SurveyMonkey data from desktop, mobile, and Web apps! 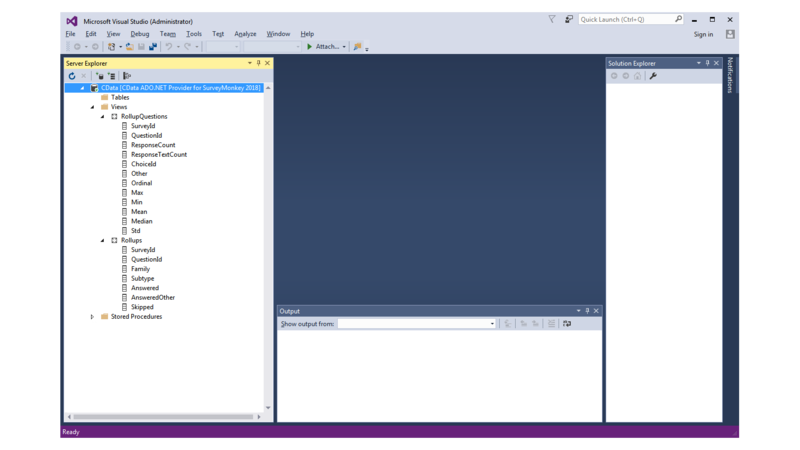 3 ADO.NET Provider - Build SQL queries in .NET code to work with SurveyMonkey data from desktop, mobile, and Web apps! 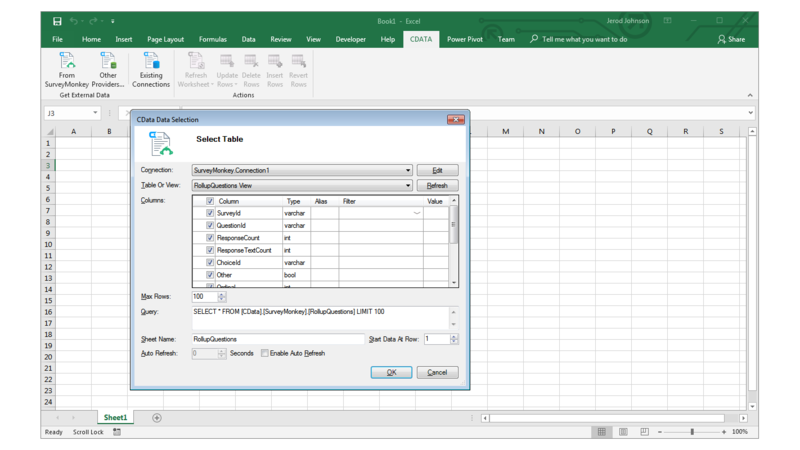 3 Excel Add-In - Connect to and edit live SurveyMonkey data from Microsoft Excel. The CData Data Connectors are powerful tools that allow you to connect with live SurveyMonkey data, directly from any applications that support database connectivity. Access SurveyMonkey like you would a database - read, write, and update Rollups, Surveys, Questions, etc. through a standard driver interface. By translating SQL queries to API calls, users get a familiar interface to their data, including the ability to connect to SurveyMonkey data from popular BI, reporting, and ETL tools and from custom applications.